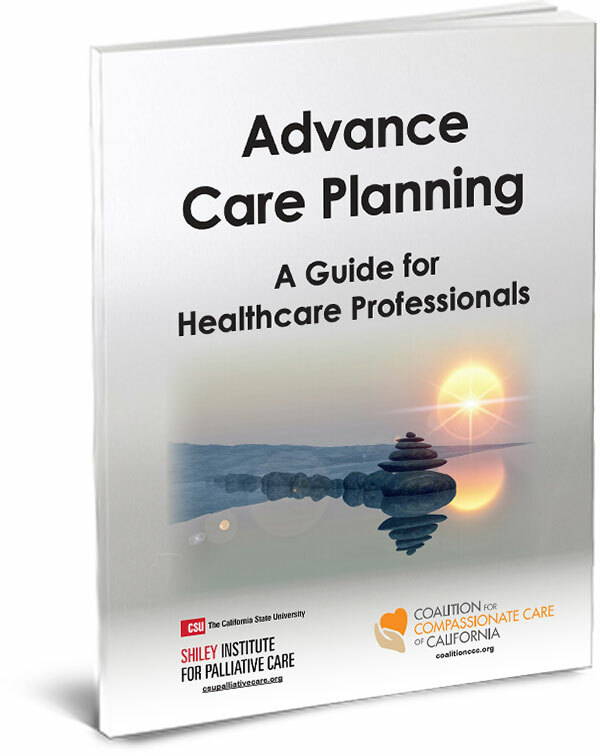 Get your guide to starting and continuing Advance Care Planning (ACP) conversations for better patient outcomes and satisfaction. This guide, produced in cooperation with the Coalition for Compassionate Care of California addresses some of the most common stumbling blocks and clears the way for professionals to communicate clearly with their patients. AND… It also shows you when and how to get paid for these important conversations. Why healthcare professionals need to initiate the conversation. What healthcare professionals need to know before they start an ACP. What is the ACP process? What qualifies as an ACP conversation? What should ACP conversations cover? What are the goals? What do the conversations look and sound like? Best times and ways to have ACP conversations. How to get paid for these conversations. Check out our self-paced courses on Effective Advance Care Planning! These courses provide a detailed exploration of the core principles and practices of advance care planning. You may purchase an individual course or the entire series for significant savings. This course is designed for everyone who needs to understand and promote advance care planning. Learn more. This course will benefit healthcare providers responsible for facilitating advance care planning conversations. Learn more. Individuals and organizations will learn about the new codes and explore through case scenarios how to accurately bill Medicare for advance care planning discussions. Learn more. The Effective Advance Care Planning series has been created in collaboration with the Coalition for Compassionate Care of California.